Get your red hot frames, here! 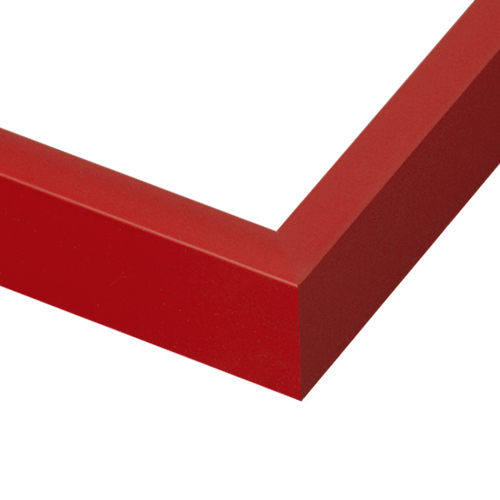 Add a splash of color with this cheerful red metal picture frame. This frame looks fantastic when you add a wide white mat to showcase your kid’s art, concert posters, fine art and bold décor. It has a flat, square face and is an incredible value. Customize your size. Spring-clips, wire & corner brackets for easy assembly and hanging are included. Fast shipping. Unparalleled customer service at pictureframes.com. Hello Georgeann. Thank you for submitting your review. We regret that you had issues with the corners joining properly. Being that you had a deadline, I can understand that time was limited. We also appreciate the many orders you have placed with us. If at anytime you are not completely satisfied with the order, you may return the order for a refund. If you do not have time to return the order, please make us aware of the situation. We would like to compensate you if there was any issue with your order. Thank you again for your business. We hope you will continue to allow us to frame your artwork. Thank you for your feedback. My order was delivered very quickly and the quality was excellent. I was able to follow the instructions and assembled the framed print in record time. I am extremely pleased with my purchase. Perfect for what I needed it for. Very colorful !! Price was good. Looks great with my painting. Great product. I will definitely request another frame. Was easy to put together. Color was nice and for a metal frame it was nice too. Easy to assemble. 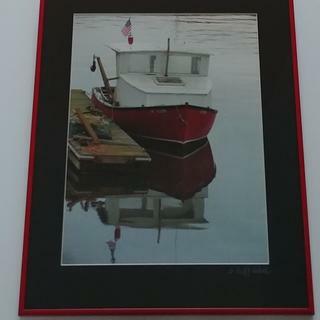 I received my picture last year for my birthday, and have been trying to find the right frame at the right price. I thought shipping was a little high, but overall it was still cheaper than what I could find around town. I couldn't figure out the hanging methods, but made something else work. I love the frame, and it helps the flag in the picture pop. 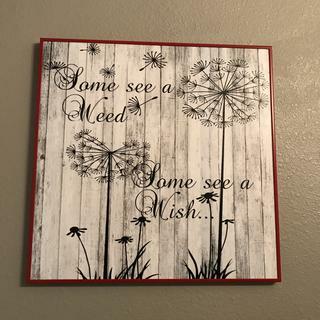 The frame is nice, but one of the corners doesn't close all the way. Also, it should include a template to cut down larger pictures to fit the frame. When first ordered we did not receive the correct brackets and reached out to the company. They sent a new set, but they were also incorrect as they were for a wood frame. But the third time we received the correct bracket to finish the frame. The picture looks very nice in the red frame. Hello Carol. Thank you for placing your most recent order. We regret to hear that the acrylic arrived marked up. That is not the ordering experience we want you to have. If you could please email us a photo showing us the condition of the acrylic, we will be glad to send you a free replacement. 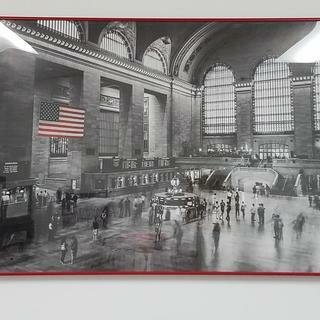 Please email the photo of the acrylic to customercare@pictureframes.com. Once we have reviewed the photos, we will set up a free replacement order. If you have any question, please contact us at 1-800-332-8884. We look forward to making this right with you. Have a fantastic day! I buy a lot of frames from this site. This is the first one I didn’t give five stars to. I had a hard time getting my glazing to fit without piping through the front. Not my favorite frame to work with. I finally had the glazing recut and it worked. I wouldn’t buy it again. Other frames from picture frames.com have been wonderful. Whenever I have had a problem they solve it quickly! Hi Deborah. Thank you for your review. We regret to hear that you had a less than perfect experience with this frame. We understand that our metal frames are not for everyone and are happy to hear that alternative options have worked for you. Our customer care team is always happy to help walk you through piecing your frame together. They are in the office Monday-Friday 8am-7pm eastern time and can be reached at 1-800-332-8884. We appreciate your business and look forward to continue serving you in the future! Bought it for my pastel chalk art project. Love it ?? used it to frame cubs world series win 'sun times'. was perfect. I think the red metal frame will look good with the print. Always quality at a great price. 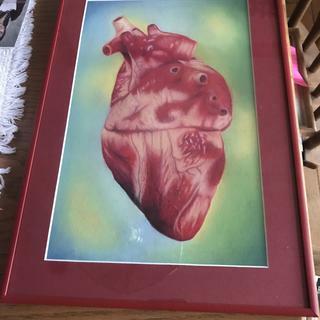 I have a watermelon colored pencil drawing and have been checking your site for awhile for the right frame. You framed a watermelon picture!!! Just what I need to frame a piece of original art. It goes very well with the artwork. Matching with my art work, very nice !!! It's for some pictures of Cincinnati Reds players from the Big Red Machine. goes with the poster I am framing. I like this style of frame -- have bought it before. I liked the Metal material, color, style, and price. It has a Nice Red color which I was looking for! To go with another puzzle I had framed for a grandson. They work beautifully for puzzles and even I can put them together. This will be framing a lovely puzzle that I completed. The colors are Spanish themed with reds, purples oranges, and yellows. I like frames that add a pop of color to my home and red has been a theme color for me in recent years. If I order a 24 x 36 metal frame will my art work which is 24 x 36 fit? BEST ANSWER: Thank you for your inquiry! On the product page, you should be putting in the size of your artwork that it's a good fit in the frame. Please note that 3/16" of your artwork will be covered up by the frame so that it can be held in place. If you have any additional questions please call our customer care team at 1-800-332-8884. Yes, but the frame will cover up a small area around the border (1/4"). If you plan on putting a mat on your artwork, you will have to allow for that extra and up the size. There's no regular glass that comes with the frame? The acrylic or glass with extra? Do I understand that correctly? BEST ANSWER: Hello! We do not offer glass instead we have acrylic available that you can include with your frame. The acrylic has the same transparency as glass but is much lighter and shatter proof. We have various types of acrylic which are sold separately with the frames. Happy Framing!